Actress who became recognized for her roles in Cory in the House, The Game Plan and Life with Boys. Madison Pettis was born on July 22, 1998 as Madison Michelle Pettis in Arlington, Texas, USA. Her parents are Steven Pettis and Michelle Pettis. Her mother’s ancestry is Italian, French, and Irish, while her father is African-American, and has a sister Antoinette and brother Steven. *Her mother is Caucasian, and father is African-American. 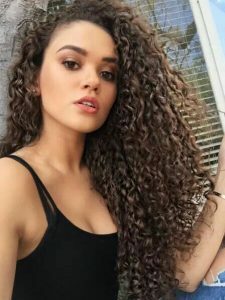 *Her older sister Antoinette is a model/actress Antoinette Mia Pettis, and her older brother Steven is in the United States Army. *She is allergic to dairy products. *She has a dog named Muffin.